The ECRI Institute, based in Philadelphia, has just released its annual list of health technology hazards for 2019. Endoscope reprocessing once again appears on the list, coming in as the number 5 hazard for 2019. “Cleaning and disinfecting flexible endoscopes between uses is known to be a challenging process. Failure to precisely follow a robust reprocessing protocol can lead to debilitating or even fatal infections. Less well known is that improper handling and storage practices can recontaminate previously disinfected scopes, heightening the risk of patient infections. If endoscopes are not completely dried after being subjected to high-level disinfection, any remaining viable microbes can rapidly proliferate and colonize the instruments. To promote drying, ECRI Institute and relevant professional societies recommend purging endoscope channels with clean air at the end of the reprocessing process. 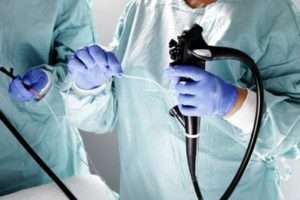 The disinfected status of endoscopes can also be compromised if the instruments are handled with unclean gloves—a practice that ECRI Institute has observed. Endoscopes that have been cleaned but not yet high-level disinfected are still contaminated with viable microbes; thus gloves used to handle an endoscope at that stage must not be used to remove the scope from the reprocessing machine. In order to reduce the risk of improper disinfection and reprocessing of flexible endoscopes, invest in a system that can ensure all the proper steps are followed each time a scope is reprocessed in your facility. If your department wants to automate the workflow and documentation process of the reprocessing cycle while ensuring compliance with reprocessing SOPs, consider a software system like iRIScope. Systems like these ensure that your staff are performing consistent, repeatable and documented steps during reprocessing. They minimize manual efforts to document the process by incorporating advanced data collection technologies like RFID directly in to the workflow, and the system also includes smart endoscope storage cabinets that can be designed to include channel drying functionality. Having iRIScope in place in your facility will greatly reduce the risk that your staff will expose patients to potentially dangerous diseases due to poor reprocessing of flexible endoscopes.